Like all first weeks, be it school, college, work or university. The first week is always overwhelming and this first week was no different. I chose to stay down in Carlisle for the week and im glad that I did. The mountain of new information added with meeting so many new people contributed to feeling rather exhausted all week and being 10 mins away from campus instead of 2 hours commute away certainly helped me surivive this first week. I met such an amazing bunch of people that I think are going to make the next two stressful years, a lot of fun!! 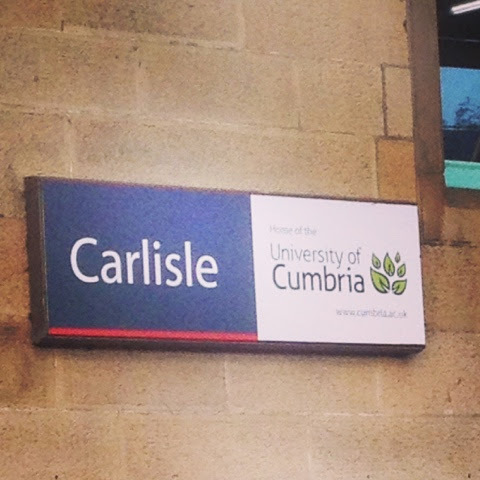 The week consisted of introductions, info of services the university had to offer, group working and a group presentation on the topic of entertainment in Carlisle. The week was great for getting to know the class and the area as well as bits about the course.